With more unique features, ObjectDatabase++ is leading the wave in Object Orientated Database Management Systems (ODBMS). ObjectDatabase++ has a number of inbuilt index designs that provide quicker access to greater variety of date types, from the basic B+Tree, spatial and full text searches, and now including more complex biometric pattern matching. ObjectDatabase++ is designed for multiple flavours of C++, as well as VB.NET and C# programmers who like having more control over their database queries than can be accomplished with the traditional SQL servers. ObjectDatabase++ allows both multi-process and multi-threaded server applications, full transaction control while supporting both real-time database recovery and compaction. ObjectDatabase++ has been especially developed for the unique environment of modern web based component servers and fulfills all the requirments of real-time database and modern high-end distributed database systems. Servers developed on the ObjectDatabase++ software library are designed to look after themselves by not only being unbreakable, but also auto repairing. Try adding real-time database features to your server application. ObjectDatabase++ is an embedded database library that has been designed in the new millennium for the wireless server applications of the new millennium. 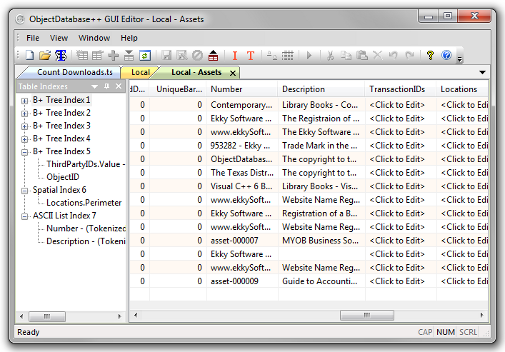 Try ObjectDatabase++ and its free GUI Editor for yourself by downloading the ObjectDatabase++ Editor today. 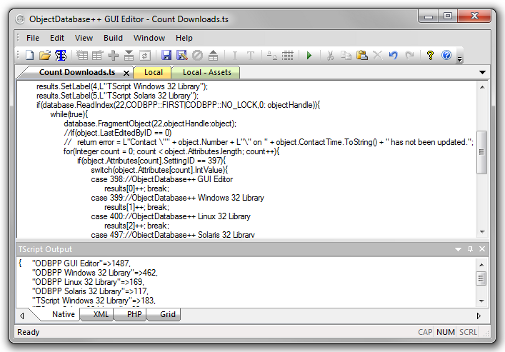 What does ObjectDatabase++ have to offer wireless applications? What is the difference between an ODBMS and a RDBMS? 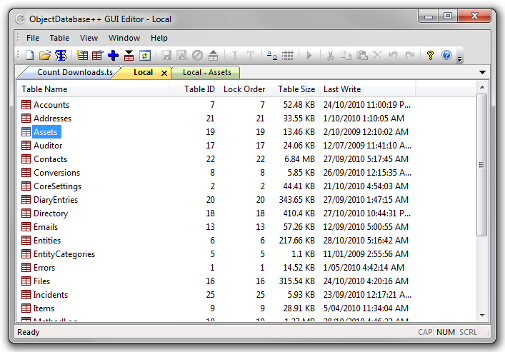 What is the difference between OQL and SQL? What happened to my log file? Why does ObjectDatabase++ flush through to disk? Ekky Software Customer Support Team.